MIKILL PANE - "I LIKE YOU"
Fast-rising London rapper MIKILL PANE is gearing up to release his forthcoming Morris Dancer EP which is due out on February 13 via Invader Music and the EP's lead single "I Like You" was unveiled this week. Witty lyrics about "falling in like", a superbly catchy hook and seriously glorious drum kicks are the highlights of this three odd minutes of Electro Hip-Hop goodness produced by Alex Morris. PARTY SUPPLIES - "GUY FRIENDS"
Fool's Gold signee and frequent Action Bronson collaborator PARTY SUPPLIES - aka Queens, NYC-born singer and producer Justin Neal - comes with this beautifully lush and upbeat 90s-styled Disco/Pop tune titled "Guy Friends" to pick you right up and place you in your happy place. Surprisingly "Guy Friends" is really about heartbreak and a cheating spouse BUT that's only if you pay attention to the words. Our advise is to blast this one LOUD and please do NOT forget your happy dancing shoes! CLOUD BUSEY - "UP TO YOU (IF YOU LOVE ME)"
MR FOGG - "STAY OUT OF THE SUN"
Last but certainly NOT least, our final pick of the Best New & Emerging Music of the week (Week 2, 2012) is by none other than Chicago underground Hip-Hop artist and one of the finest emcees around (signed or unsigned) ADD-2. 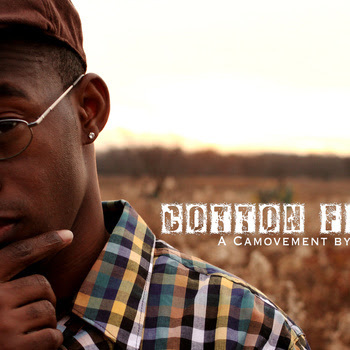 This deep, poignant and soulful opus "Cotton Fields" - with production from D-Man - is off of his forthcoming and long overdue album Save.Our.Souls. Listen carefully to the words and I hope you can relate to this one on some level. And there you have it folks! Another week of some pretty amazing NEW and EMERGING music! Highlighting everything from Deep House to Hip-Hop to Pop to Indie to Electronica and from London to Japan to Chicago to New York, we hope you enjoy our pick for week TWO! See you next week for another bout of the very BEST New and Emerging Music for your listening pleasure and if we're missing something or someone, drop us a head-up in the comments section! Keep going Add! You're killing it!